Well it had to be asked. 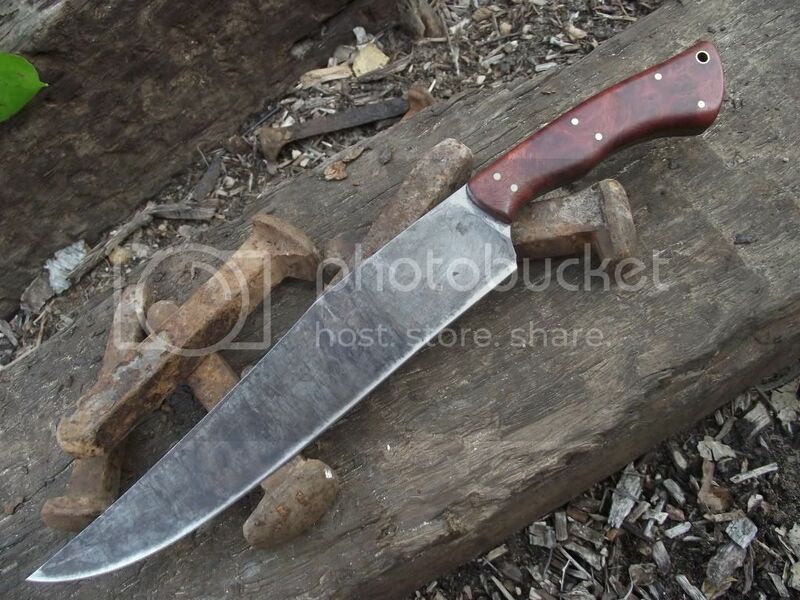 The bush mans number one tool. The first thing that I pack when going on a trip...actually it's always packed. So what knife do you carry and why? Try and include a pic if you can. Yes I agree they are great knives. I use the ka-bar short version, and whilst I have a collection of cutting tools (scandi grinds etc), every time I do an outback motorcycle trip I always grab the ka-bar. It's easy to sharpen, and built like a tank and cheap also. I'll post a pic, latter. The UK crowd don't appear to like them? 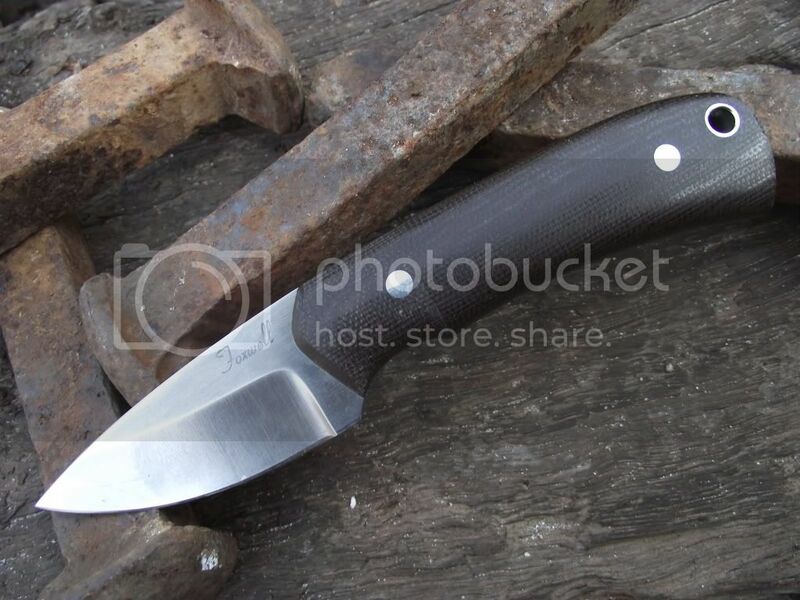 I have often thought a Rat or I think they are now called Esee would be a functional cutting tool (the 3 in particular). 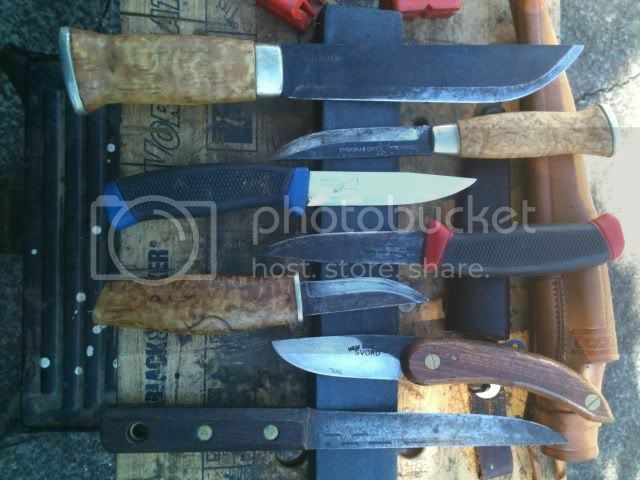 But truth be told I don't really need any more knives, it's just curiosity that drives me. I think I might have to use the trading post on this sight to swap a few. 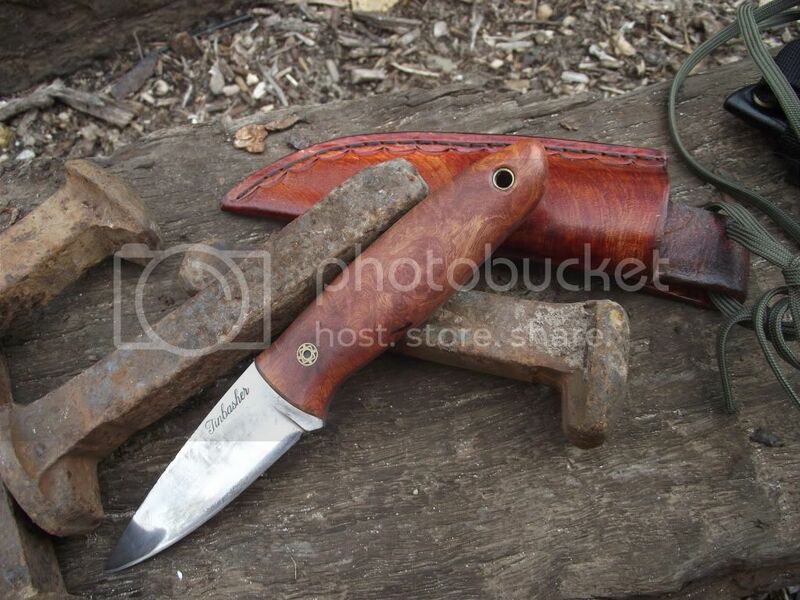 G'day Mountainwalker, I've read many good things about the Esee line of knives. Well designed, heavy duty blades with an exceptional warranty. 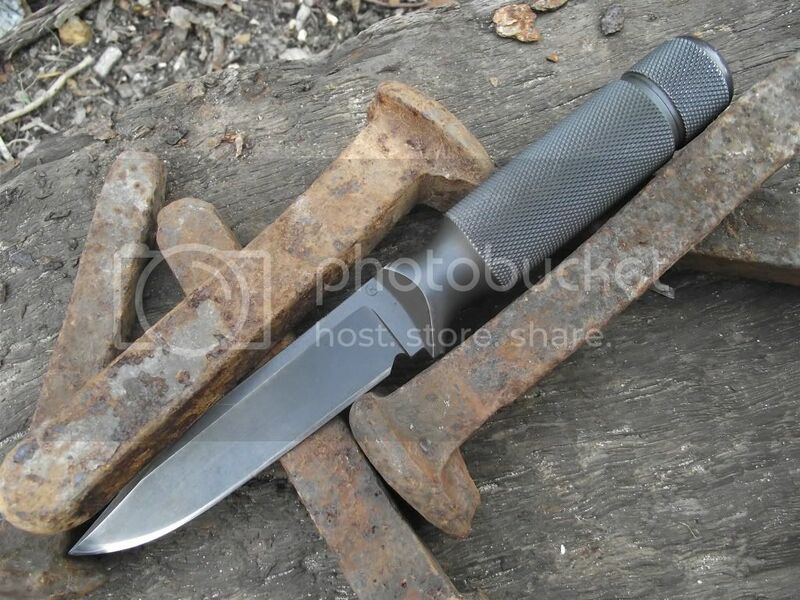 The Esee-3 does look like it would be very functional. I own an Izula and for it's size it's a stout little knife. Hi Dan, thanks for the info. I took the plunge yesterday and bought one online from US, the OZ dollar is so strong temptation got the better of me. I have the BK2 it's built like a tank, good replacement for an axe, stow it in my panniers on motorcycle trips with a bacho folding saw. 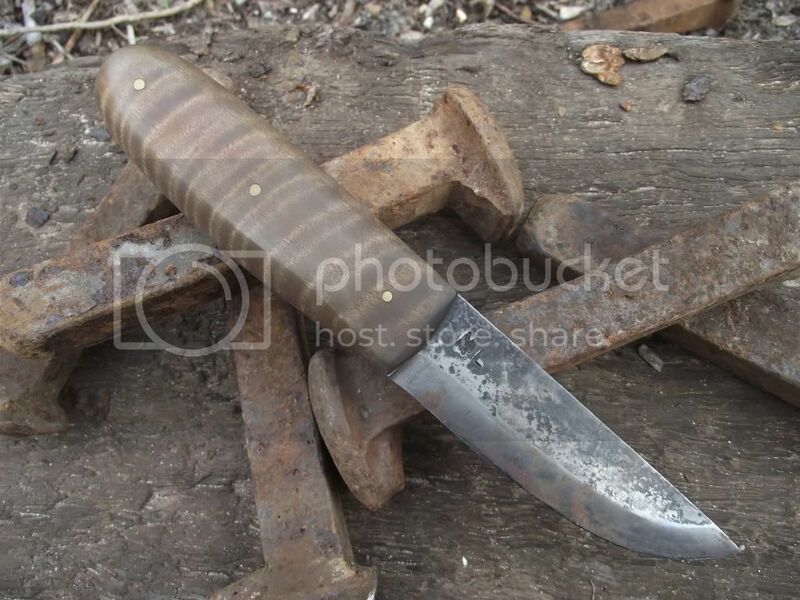 My hunting knife. 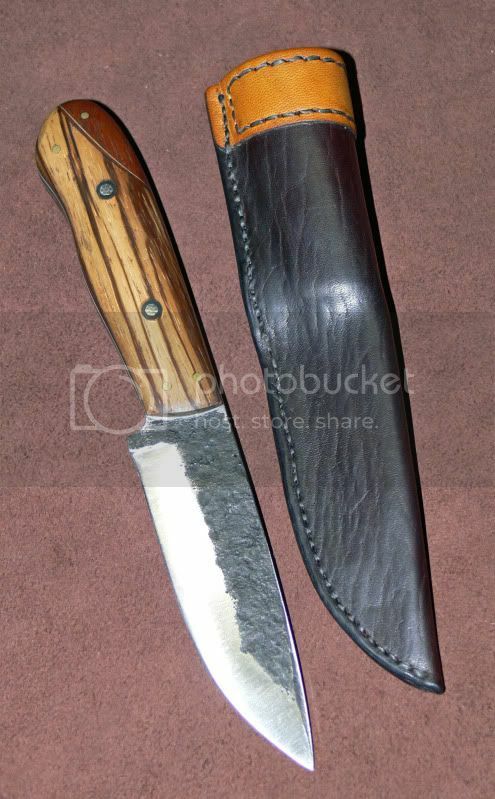 A butcher blade with an Osage Orange handle. My legging knife. Used to be my Father's. A back-up when skinning & butchering. My clasp knife. Used for camp chores, making a kettle hook, making trap triggers. As you can see my knives have specific uses, there is no all round knife. 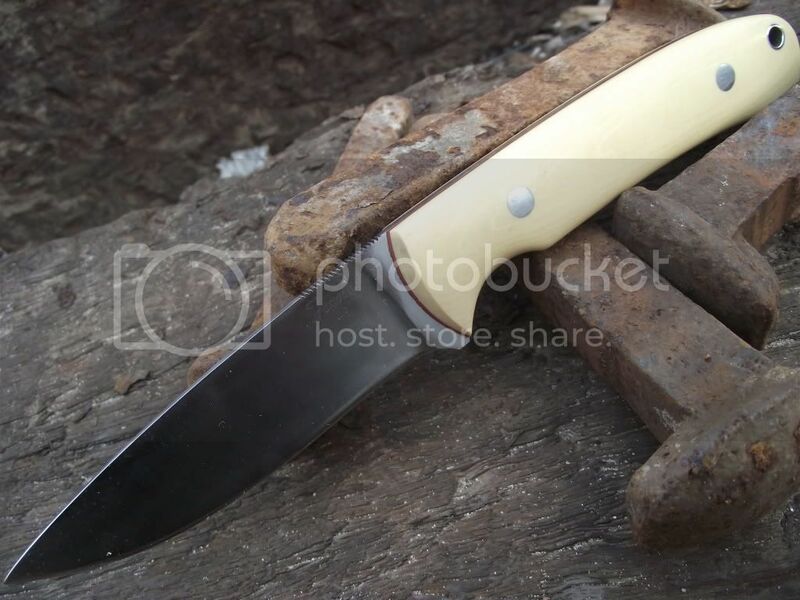 A hunting knife is used for dispatching, skinning, boning & buthering, & defence if needs be. 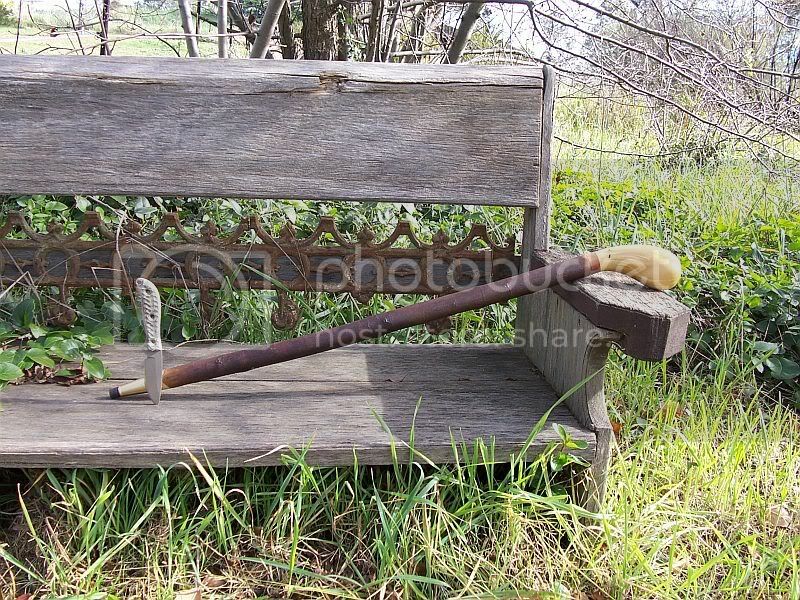 Any heavier work like making trap & shelter stakes or shelter construction is done with my tomahawk. 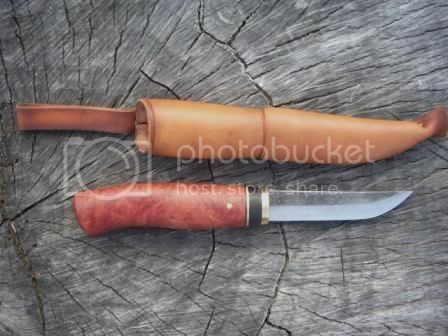 I have quite a few knives for different purposes but when I go for a wander along the river I generally take these with me. 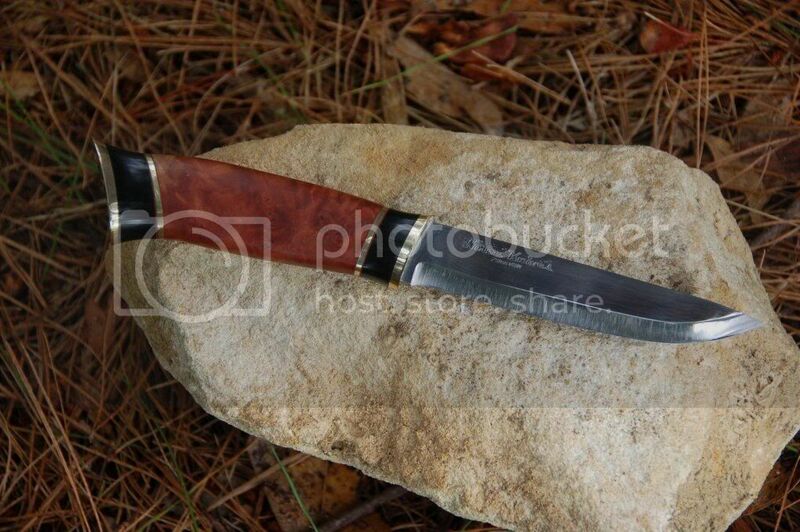 Busse Active Duty. A reasonable size, perhaps a little heavy but tough enough for anything. The stick was made for me by a bloke in Tassie out of Tassie woods. The knob is Huon Pine. Knives are my first love, I kinda know enough about them to be a bit of a "knife nerd" to a lot of people. I have a modest collection compared to some I know, but mine are users. I was doing a bit of knife sharping out the back yestday.So I took a group pic of my bushcrafty knifes..
Next up is two mora clippers the blue one is stainless steel I use for fishing.The red one is one I found in the roadside clean up.I had to clean up the blade a fair bit but nice to get a good free knife. Im also a knife nut, just started out collecting last year, but so far my favorite knife is this Esee Junglas with Kydex sheath. 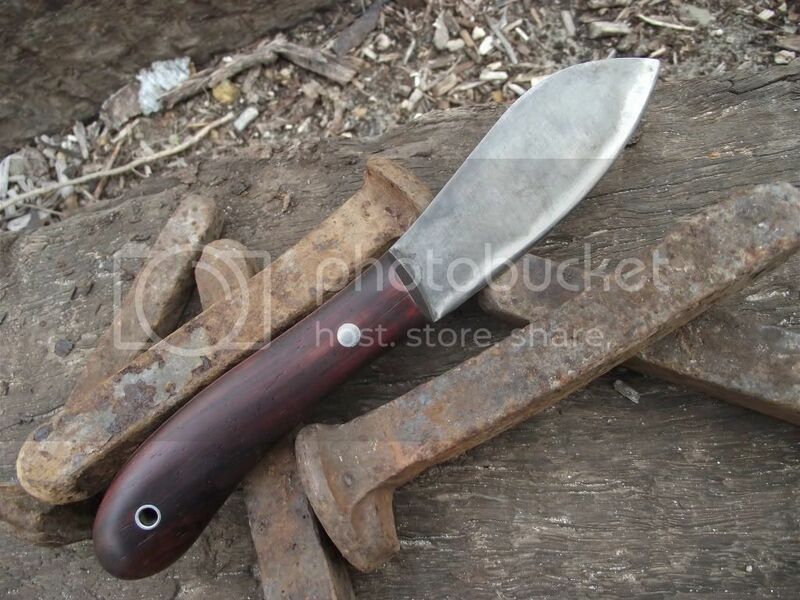 Great survival knife and i am Planning to attache a Kabar Eskabar to this with a fire kit attached to it as well. 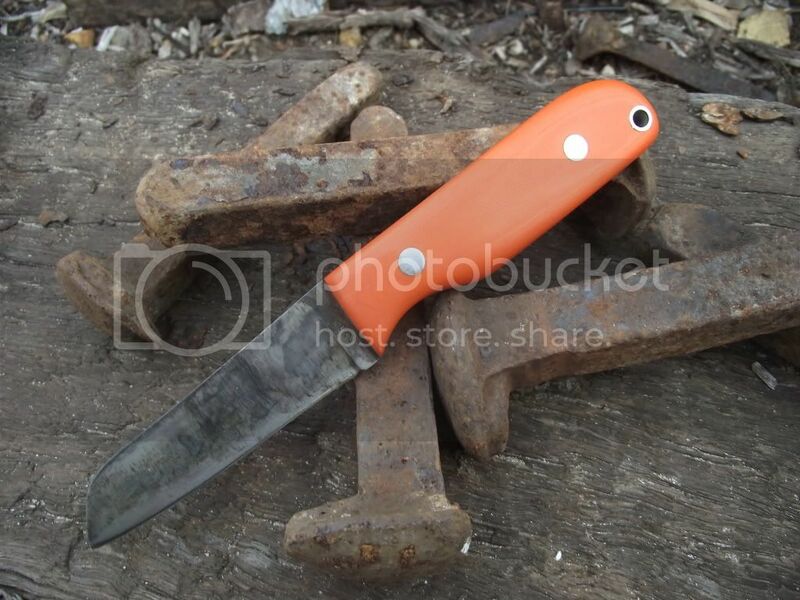 I also have a Condor Bushcraft Blade i have neglected to take pictures of, will do that in due course though. Esee Junglas - 16.5" High Sabre Blade Grind. i've also got the svord in the photo. 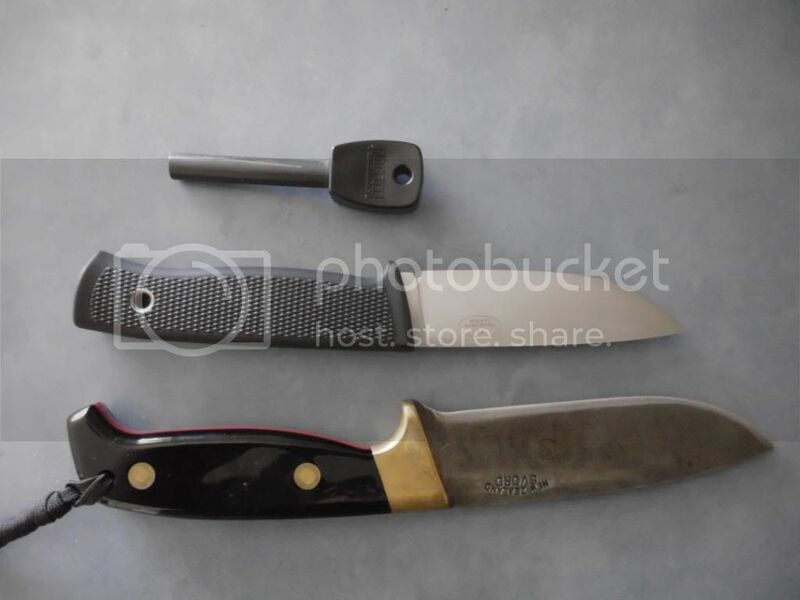 its never been used outdoors, seems thin blade and afraid it will brake under hard use, whats your opinion regarding, j man?